This book is like the ultimate "there's more than meets the eye" story. 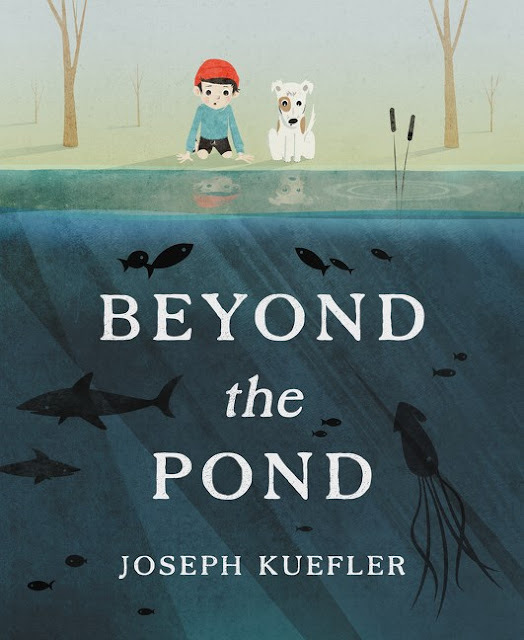 Ernest D and his dog dive into a pond in their backyard and discover a whole world of imagination. But at the end of the day, there's no place like home. 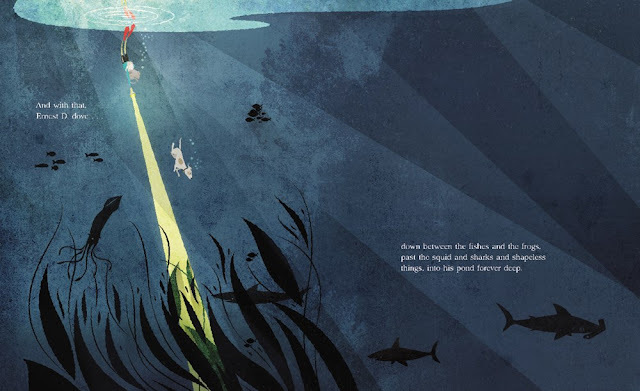 Kuefler's mixed media illustrations are full of texture and vibrancy despite the muted color scheme, and Kuefler demonstrates a mastery of light and shadow throughout, especially during the underwater scenes. 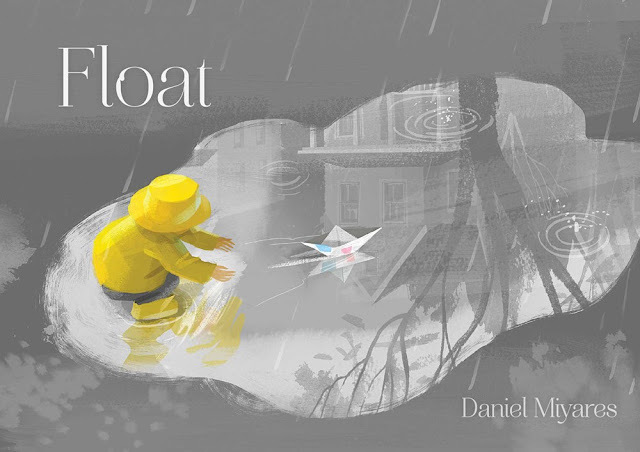 A boy folds a piece of paper into a boat and sets out on an adventure he won't soon forget. Miyares demonstrates a mastery of design in this wordless picture book: he has a keen eye for light and shadow, the endpapers provide wonderful end caps to the story, and the color scheme of the book is a perfect lead-in to the end of the story. The illustrations are digital but have a lot of the characteristics of watercolor, blending in and out of each other in the rainy images. It's an emotive story with a beautiful ending. 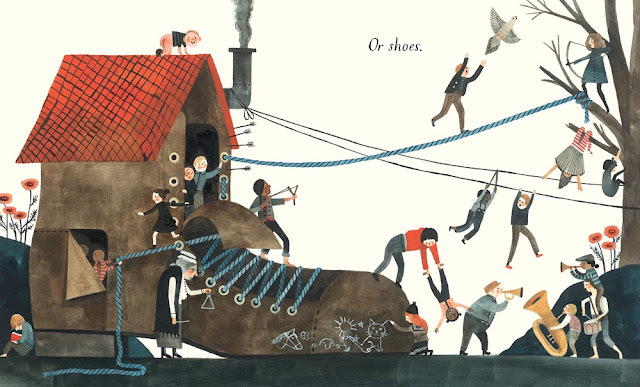 Home explores every type of dwelling imaginable, from homes made of brick to homes made of shoes, to homes that exist underwater. Ellis' gouache and ink illustrations are soft and welcoming as they alternate between one home per spread and contrasting homes like a tall house and a little house. 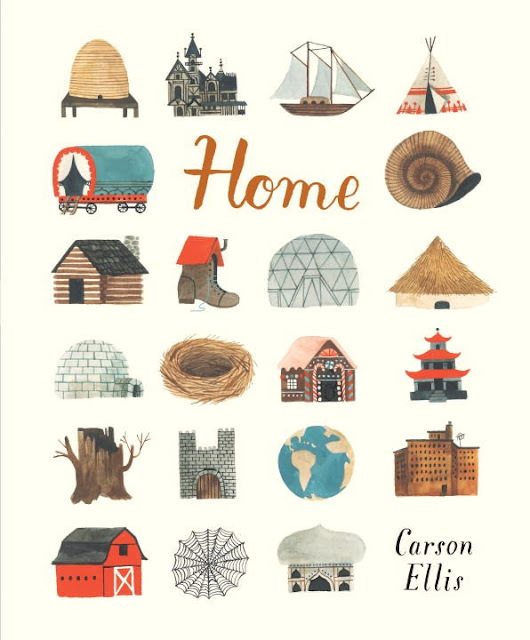 It's an inclusive book that demonstrates the diverse nature of the world, showing us people from all walks of life, and shows us that the one thing we all have in common at the end of the day is that we return somewhere we call "home." The King and the Sea is comprised of 21 short stories, one per spread, about a King interacting with the world around him. 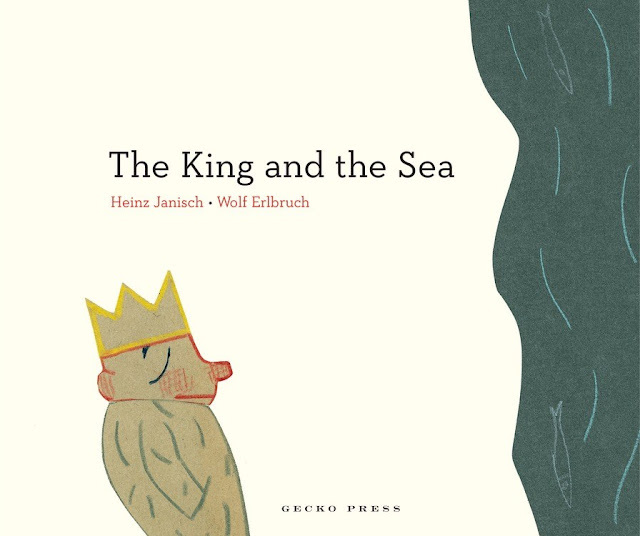 As we read through the book, we get to watch as the King slowly learns that the just because he's the king of his people doesn't mean he's the king of everything: nature has its own plans. 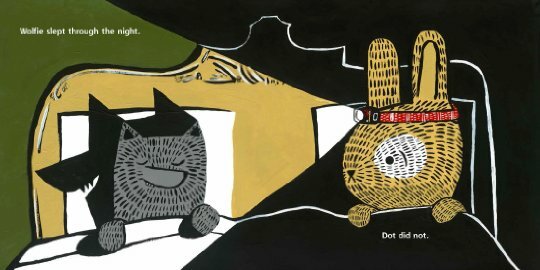 The simplicity of the crayon and collaged illustrations makes this book a quiet, thoughtful gem that reflects on larger questions in life. I just absolutely adore this book from start to finish. 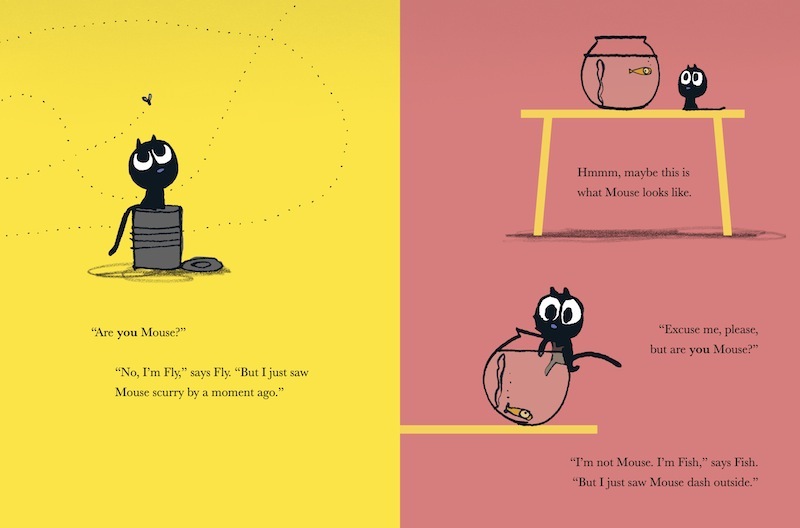 A cat who aspires to chase mice but doesn't know what a mouse is might be the cutest story concept ever. 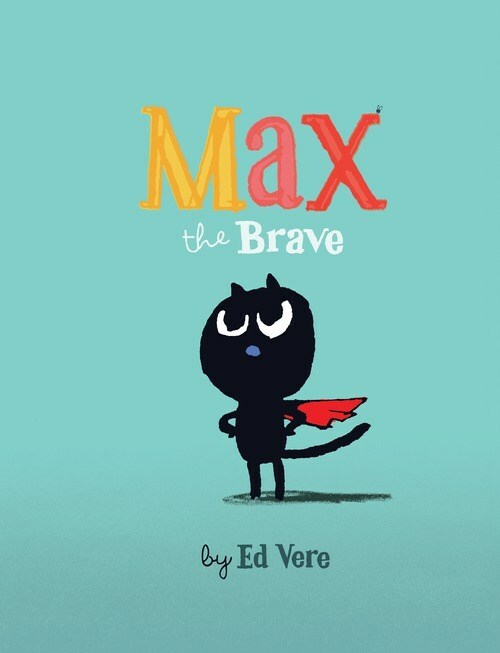 Vere is very clever throughout the book as he sends Max on his adventure, playing with words and images to keep us laughing and engaged. The background colors change depending on the emotion in the spread, and the screen-printesque illustrations allow Vere to get the most out of his colors. 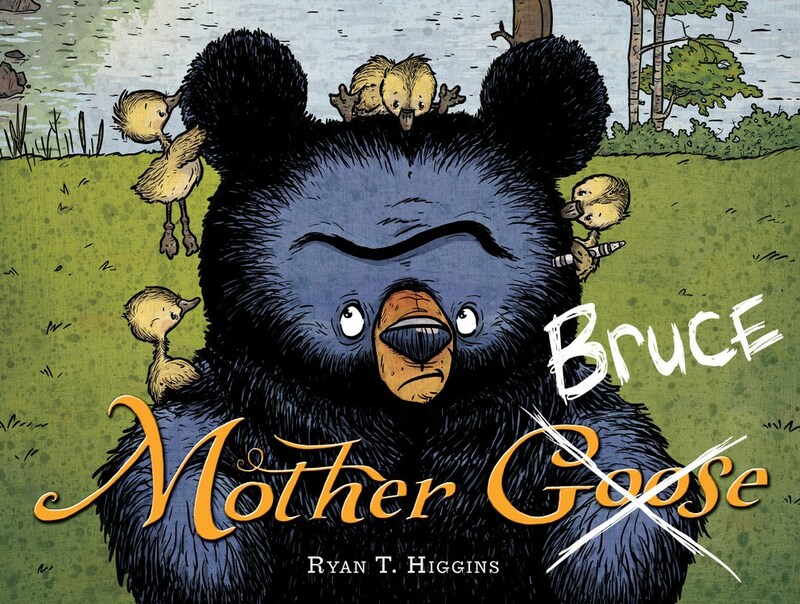 Bruce is a cranky bear who likes to keep to himself, but one day he finds himself the guardian of four goslings. It's not long before things get hectic, and Bruce's reluctance is equally, yet uniquely demonstrated in the text and the illustrations. We see Bruce walking in the opposite direction or shooting the goslings off a cliff, always pushing or moving them in the opposite direction. Of course, Bruce eventually accepts his fate, but that doesn't mean he ever becomes less cranky. Or standoffish. This books is one of my favorite books of all time. Orion is terrified of the dark, so he personifies it in the form of a a giant, nighttime sky colored being. The Dark takes Orion on a tour of the night, and these adventures quell Orion's fears and show readers of the fun that can be had during the night. 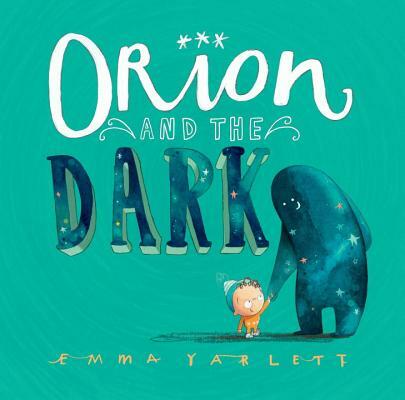 The illustrations, a combination of watercolor, ink, and pen, are dark and expressive, and Yarlett gives so much attention to detail in how she depicts different versions of darkness throughout the book. 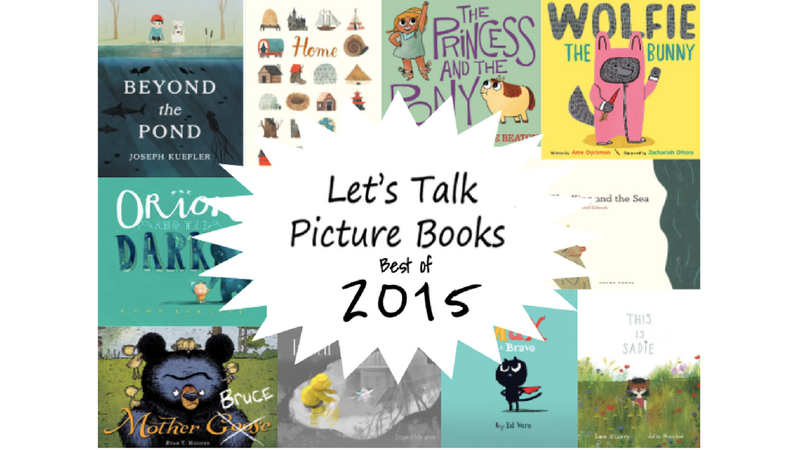 The book serves as a thoughtful reminder to never let fear control us. Princess Pinecone desperately tries to make peace with her birthday gift, but it's tough when the gift is a round, googly-eyed, flatulent pony. This book made me crack up. 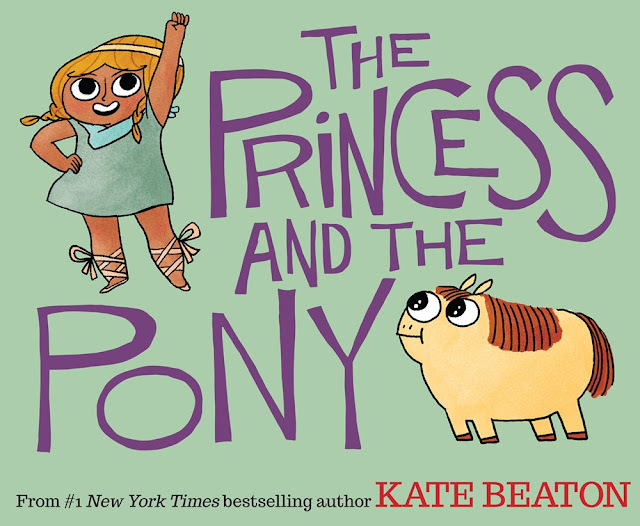 The illustrations delightfully parallel the tone of the text, but still have unique, fun bits for us to spot, and the fact that Princess Pinecone turns her own weakness into her biggest strength is inspiring. Sadie is a little girl with a big imagination. 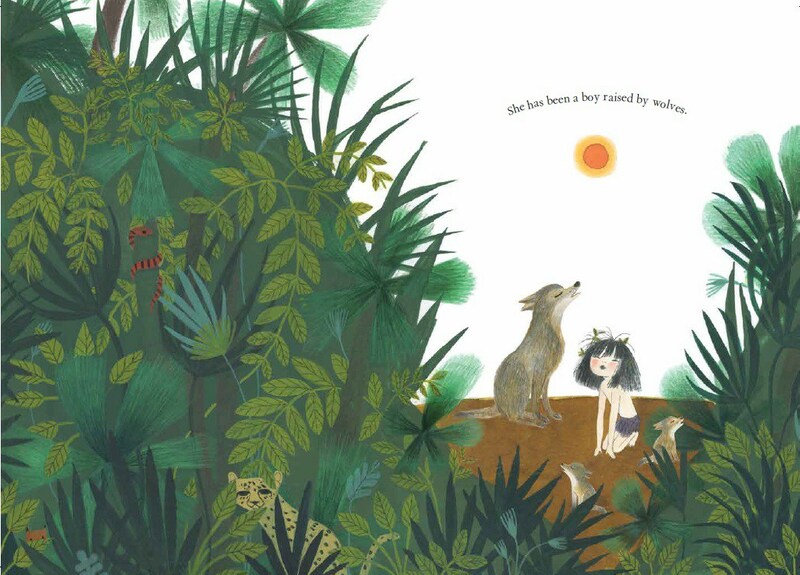 She has lived many lives, many of which weave into classic stories like Alice in Wonderland and The Jungle Book, and her daydreams know no boundaries, including gender. 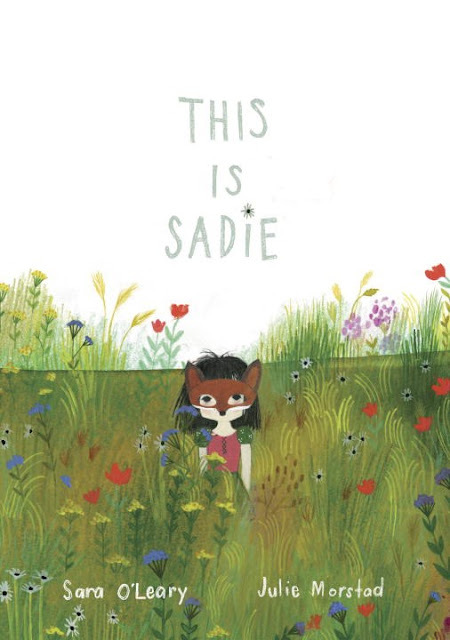 The story is beautifully relatable and diverse, and the watercolor and gouache illustrations are a beautiful means to represent the strength of this little girl: there's nothing she can't do and she never doubts herself. 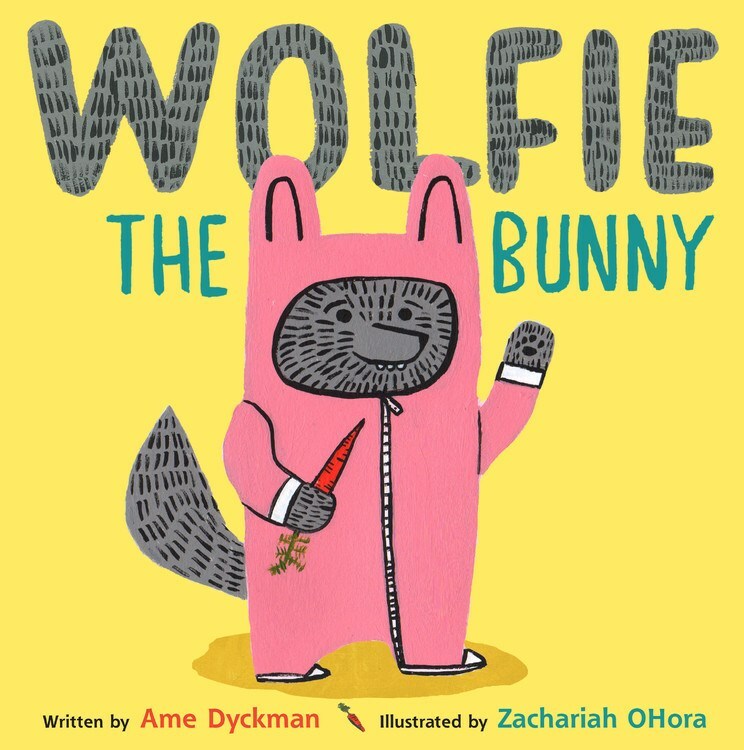 A family of bunnies adopts a baby wolf into the family, but the adoptive sister Dot has her doubts. She's convinced Wolfie is going to eat them all up! The acrylic illustrations are vibrant and textured, and the wacky scenarios Dot comes up with are hilarious. The lines are clean cut and bold, and OHora does a phenomenal job of using shadow in a relatively flat world. Plus, it has one of my favorite spreads in all of kidlit (see below)!